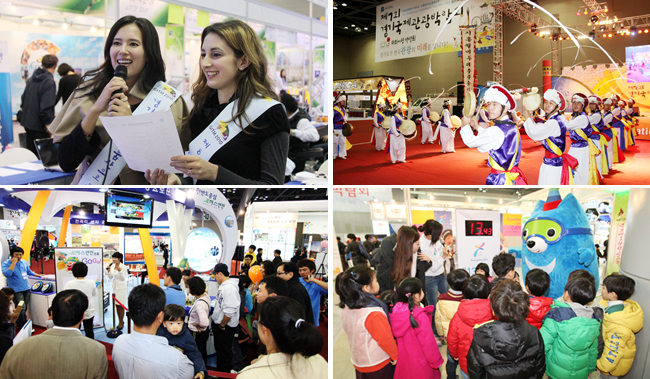 The Gyeonggi International Travel Mart 2012, a travel information and services expo, will be held from November 8th through the 11th at KINTEX in Ilsan-gu, Goyang-si, Gyeonggi-do Province. Marking its 10th anniversary, the expo will invite over 40 major travel agencies from home and abroad to present their products and services. Visitors will be able to obtain information on traveling in different regions in Korea and countries around the world, as well as on tours with such themes as education, experience, festival, leisure, etc. Moreover, the expo will host a series of subsidiary programs. A highlight program will be the fashion show featuring 43 foreign ambassadors to Korea, each walking down the runway in their traditional costume and staging traditional performances. Why Korean Men Marry Foreign Women ? Which Fruits Are Good for Weight Loss?